The views of local people on climate change along different ecological regions are relatively unexplored in Nepal. 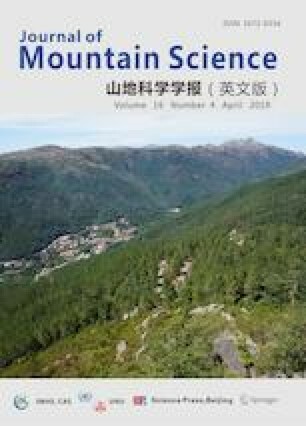 This study was conducted in 13 villages in central Nepal at different altitudes to document the views of small holder farmers and compare their perception with trends of climatic variables, finger millet yield, natural disasters, plant phenology (flowering and fruiting), status of forest and wild life, as well as the spread of diseases and pests. Analysis on the climatic data of stations for 36–41 years between 1975 and 2016 showed significant increases in the minimum temperature in lower tropical climatic region (<500 m), upper tropical to subtropical climatic region (500–2000 m) and temperate climatic region (2000–3000 m) by 0.01, 0.026 and 0.054°C/year, respectively, and an increase of maximum temperature by 0.008, 0.018, and 0.019°C/year, respectively. Rainfall showed a strongly significant decreasing trend in all elevation regions. This result matches with the views of respondents except 38% respondent from temperate climatic region. People from the temperate climatic region also mentioned that current onset of snowfall is delayed but amount of snowfall remained the same. From the documented records, except events of wild fire, frequency of natural disasters events have increased in the recent years, which was in harmony with the views of local people. Multi-linear regression analysis showed that contribution of climatic variables on finger millet yield in lower tropical climatic region and upper tropical to subtropical regions was 23% and 57.3%, respectively, which was supported by increasing trend on average growing degree day (GDD) temperature at the rate of 0.01°C in upper tropical to subtropical region and 0.007°C in lower tropical climatic region yearly. Finger millet yield has been increasing at the rate of 7.39 and 36.9 kg/ha yearly in lower tropical climatic region and upper tropical to subtropical climatic region, respectively. This result provides deeper understanding of people’s perception of causes and effects of climate change on diverse variables along different elevation and related magnitude which can contribute to policy making in Nepal. This work was supported by Feed the Future Innovation Lab for Integrated Pest Management funded by the United States Agency for International Development (USAID) under the Cooperative Agreement No. AID-OAA-L-15-00001. We are thankful to Dr. Muniappan RANGASWAMI (IPM-IL, Virginia Tech, USA) for encouragement and advice. We are also thankful to Sara HENDERY for editing language and Mr. Madan K. KHADKA for the study area map.